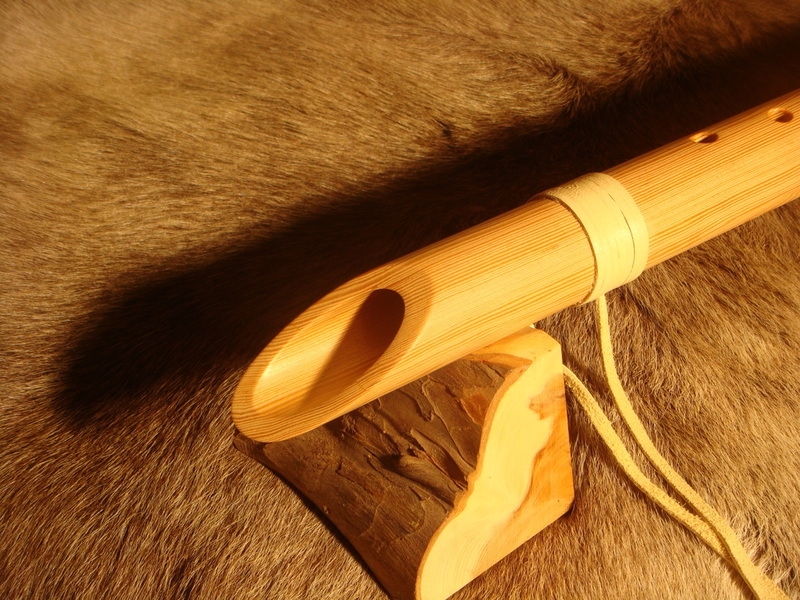 DOUGLAS FIR IN THE KEY OF "E"
DOUGLAS FIR IN THE KEY OF "E" Below are 7 photos and at the bottom a video link of it being played. 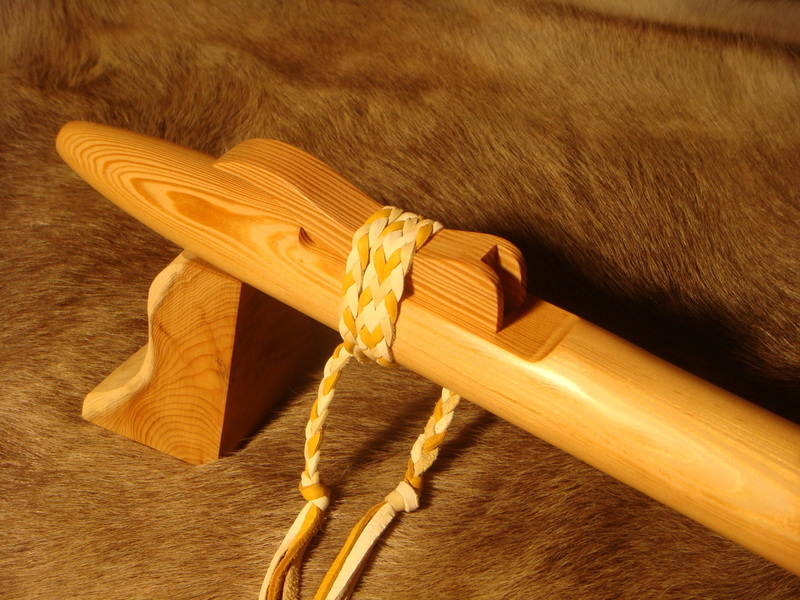 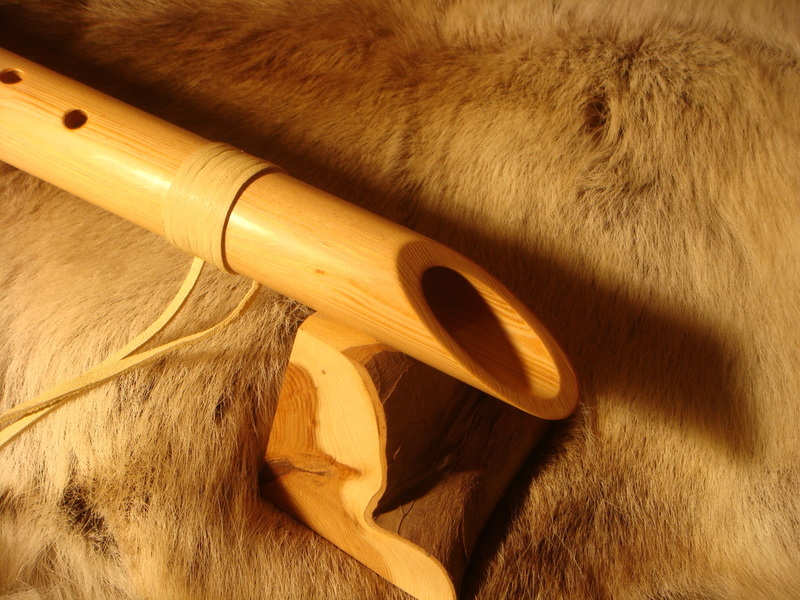 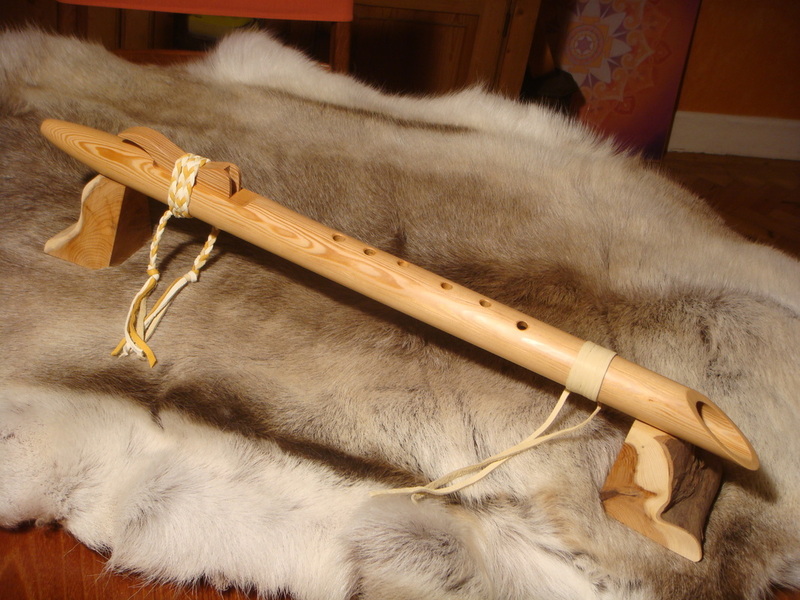 Info:- Native American Style Flute made from Douglas Fir. 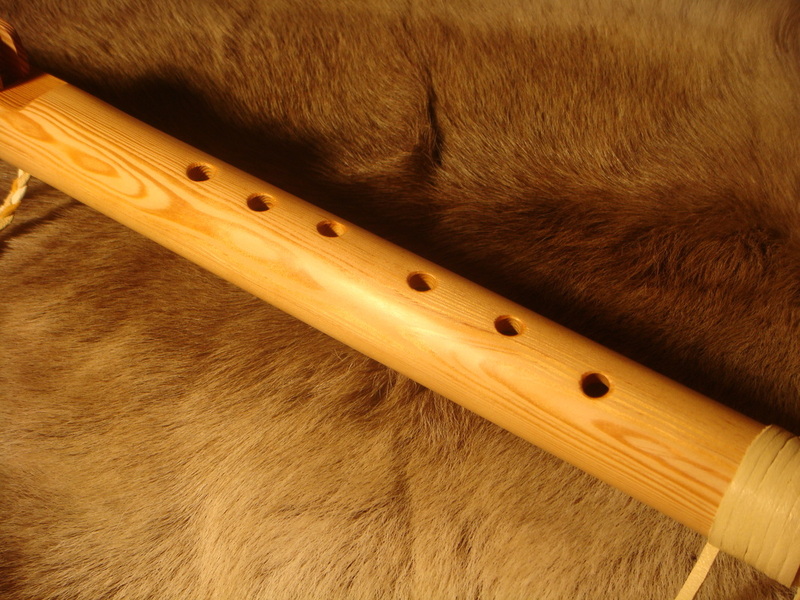 Another beautiful flute from Woodpecker Flutes, made by hand from Douglas Fir and in the key of "E", it is 68cm long, the bore is 1" and it is a 6 hole flute, with off set playing holes, hole 1 to the right and hole 4 to the left so as people with smaller hands will be able to play this flute, the distance between playing holes is as follows (hole 1 being furthest from the mouthpiece). 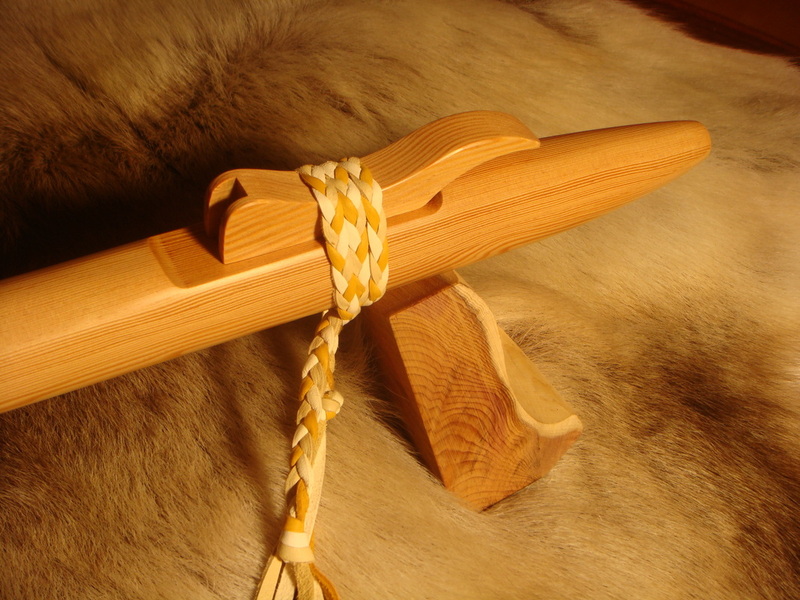 1-2=3.5cm, 2-3=3.5cm, 3-4=4cm, 4-5=3cm, 5-6=3cm. 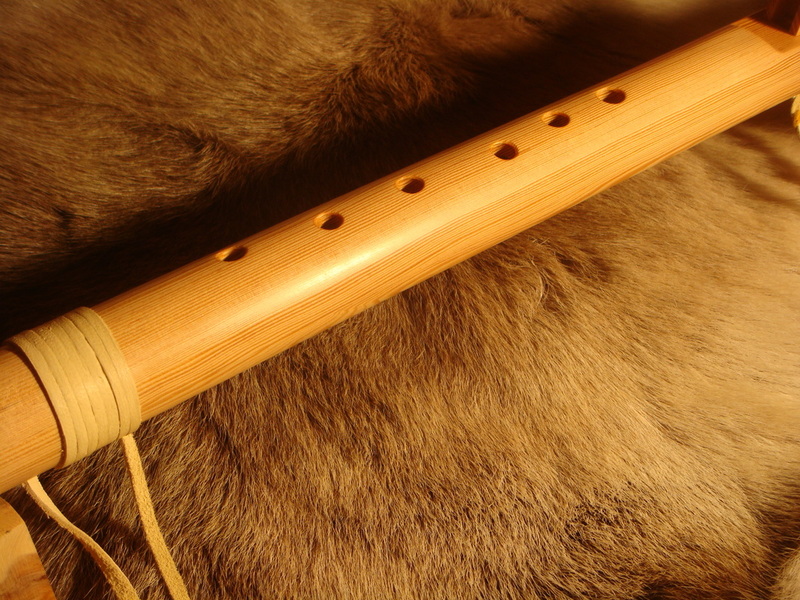 The playing holes are off set, it has a sloped end and has been decorated with white, beige and gold deer lace.